First ever West Coast Tourney was a complete success with 3 new champions crowned. West Coast Tourney was a complete success with 3 new champions crowned. Who knows it rains in Los Angeles as we slipped in the West Coast Tourney between the Storm of the decade and several days of rain in the following week. 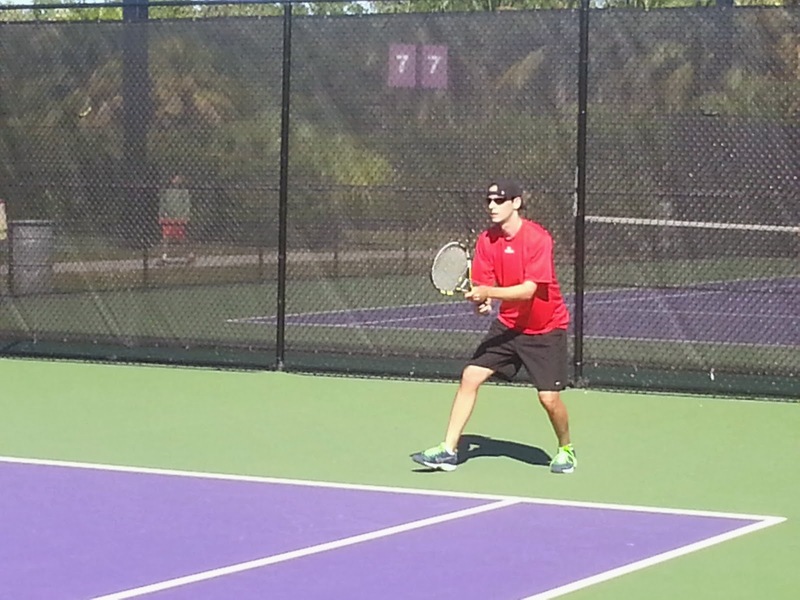 We had perfect temps though for competitive tennis as it was low 60's and sunny for the tourney. 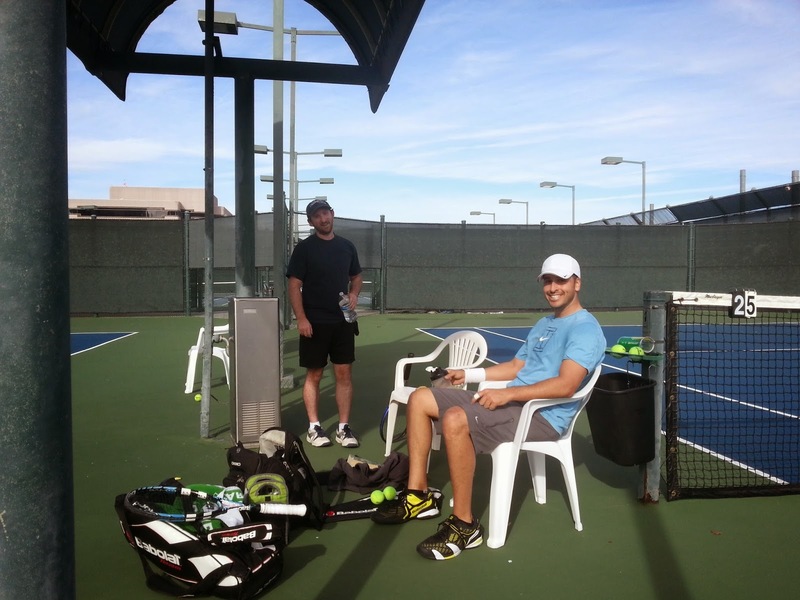 The Warner Tennis Center at 6336 Canoga Park, Woodland Hills CA is such a wonderful facility run by owner Tim Schnaible. 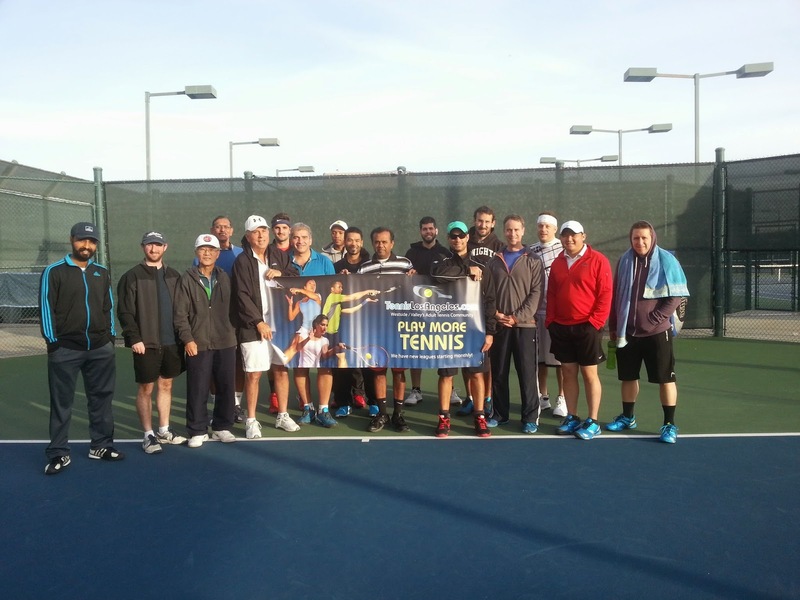 We the facility hoping with the 32 tournament participates from 5 different cities in Tennis League Network. Representations were mainly from TennisLosAngeles.com but we also had players from TennisOC.com, ChiTownTennis.com, Metro Boston Tennis League and TennisMinneapolis.com. 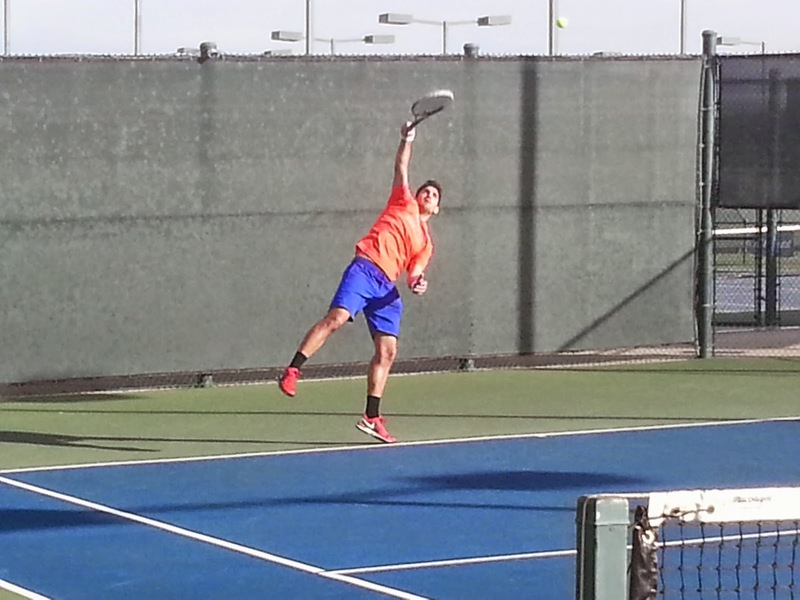 Nick Posthuma smashing an ace? 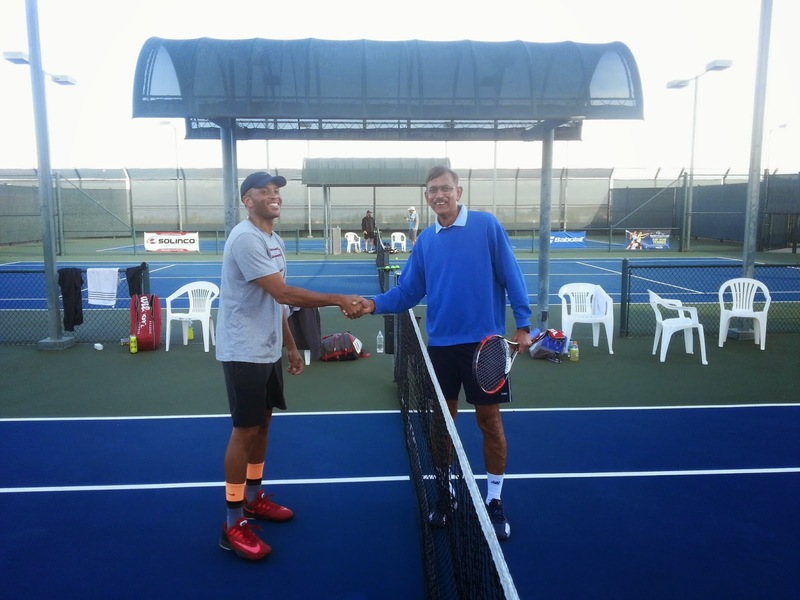 The format used for this tournament was a 2 Saturday seeding matches where players played 10-game pro sets and those results were used to seed them for Sunday's single elimination championship draw. We hope to run many more West Coast Tourney's at the facility.